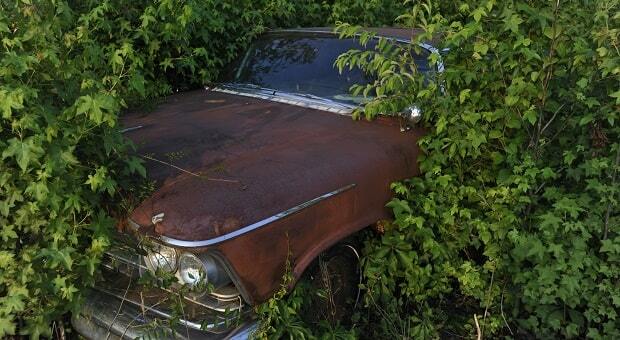 If you’re pulling your first classic out of a junk-covered barn or chopping it out of the undergrowth, chances are you aren’t going to be able to just pop the key in the ignition and drive off. Don’t be discouraged, though; take a look under the hood. If all the fundamental components are in place, it’s not as hard as you might think to get an old Detroit hunk of iron to sputter back to life. There are a few essential supplies that everyone needs for a “will it run” adventure. Always make sure you have a fully charged battery and an external fuel source in the form of a jerry can, bottle or jug – a way to provide 12v power to the starter and ignition. Now, she may not be ready to run and move under her own power just yet, but at the very least you will have somewhere to start. Here are a number of simple steps you can take to make sure your engine is ready to fire up after sitting for an extended period of time. 1. After you’ve gained access to everything under the hood and have a clear area to work, make sure the engine is whole and has all of the basic sources of air, fuel and spark that are needed for ignition. When you’ve accounted for all of your accessories and drive belts, remove the air cleaner so you can check and clear the carb/throttle-body of any debris. 2. 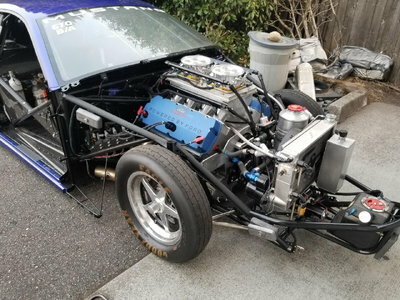 Next, make sure that the engine is “free” and will turn over. If the engine has been sitting for a long time and you’re not sure when it was last running, you’ll want to remove each spark plug and squirt a tablespoon or so of “Marvel Mystery Oil,” engine oil or ATF (automatic transmission fluid) down each hole. This will ensure that the cylinder walls and piston rings are coated and lubricated. To ensure that the engine is free, use a ½ in. drive ratchet or breaker bar to rotate the engine over by hand using the crank shaft pulley bolt. As you do this, listen for any grinding, clunking or scraping noises. Be sure not to confuse this with the puff or hiss of air compression being released, which is normal and will also push out most of the oil you used to lubricate the cylinders. 3. Once your engine is free and able to rotate by hand, verify that the vacuum hoses and lines are connected where they should be and clear of debris. While all you really need for a first start is fuel and spark, you do not want to circulate gunk or debris through the engines air of fuel system. This step is not entirely necessary if you only plan on getting the engine to “fire up,” but if you want to run it for any measurable amount of time, there should be clean new oil circulating through the system. 4. Using a catch bucket, remove the engine oil drain plug, then drain and fill the engine with fresh oil. Depending on what was used as coolant and how long the vehicle has been sitting, there may be bits of rust and other gunk in the cooling system. You can run the engine for a short period of time (1-2 mins) depending on the outside temperature without the radiator hoses or cooling system connected, but it is never a bad idea to drain and flush the radiator and engine to the best of your abilities beforehand. 5. If the engine ran before your project was parked, and was not scavenged for parts or messed with afterwards, your ignition timing may be acceptable. However, you will need to make sure that you still have power to the ignition, and that it is generating spark. 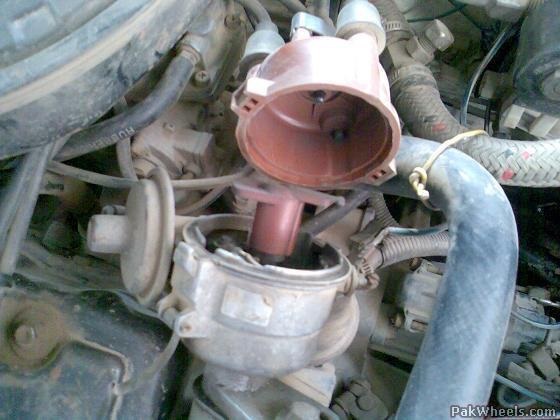 It’s a good idea to remove your distributor cap and check for moisture, rust or debris and verify the rotor position. If you decide to verify base timing before attempting the start-up, you will need to complete a few extra steps. 6. With the #1 spark plug and distributor cap removed, rotate the engine over by hand. With your thumb over the spark plug hole, continue rotating until you feel air pushing out from the #1 cylinder and the zero mark on the engines timing pointer is lined up with the mark on your harmonic balancer. 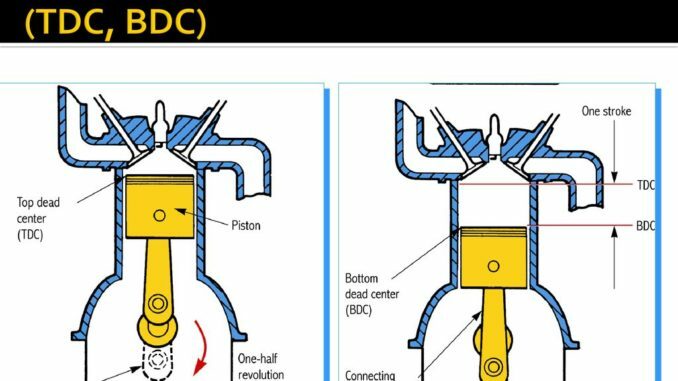 At this point you will have reached TDC (top dead center) on the compression stroke for cylinder #1 and your rotor should be “pointing” towards cylinder #1. Make sure you know the firing order of your particular engine and can verify this. Fine tuning the timing can be done later. 7. If the engine has been sitting for years, any gas in the tank or fuel lines is likely bad or contaminated. You will want to disconnect the main fuel line from the carburetor to avoid pumping bad gas through the fuel system. You can run carbureted engines briefly using a water bottle with holes poked in the cap to manually supply the carburetor. If you plan on letting the engine idle, you will want to rig up fuel line from the carburetor to a gravity fed source like a large bottle, jug or jerry can. You do not need to replace fuel lines or a gas tank for an initial test start. 8. 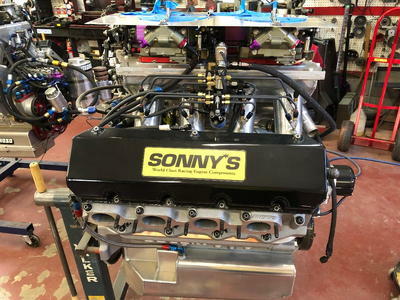 Now, with a solid 12v source to your starter/ignition, a clean ground, new fluids, base timing set, your gravity fed fuel system and all of your plugs and wires hooked back up, you are ready to attempt your first start! Before you attempt to start the engine, make sure that the car is in neutral and you have the tires chalked. It may take many cranks for compression to build and for combustion to occur; do not be discouraged if it takes more than a few cranks. You may want to hold a rag over the carb to “choke” the engine for initial ignition. Adjust the airflow and fuel, feathering the throttle once ignition is achieved. A very careful spray or two of starting fluid or a squirt of fuel directly in to the carburetor or throttle body may also help successful combustion and keep the engine running for the first few seconds. Once the engine is running and you hear no loud knocking, clanking or pinging, it is likely that the engine is healthy enough to at least move the vehicle under its own power. If you are brave, at this point you may attempt to drive it a few feet or so from its early grave, but don’t get hasty! Learn all you can about your project, don’t take any shortcuts and don’t give up. You have a long journey ahead of you!